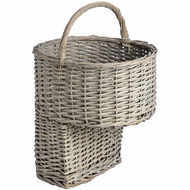 Add rustic charm to your home with our range of decorative baskets. Whether you’re looking for a place to store odds and ends, or you’re planning on creating a beautiful floral display using our wicker plant holders, these handy wicker storage baskets are a great addition to the home. Decorative baskets have always been a popular choice for fans of a vintage style home, offering a countryside vibe that will always be in style. 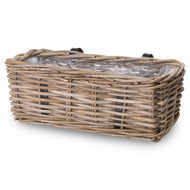 At Baytree Interiors, we offer a selection of decorative storage baskets designed to suit a multitude of purposes. 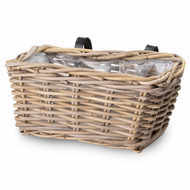 Plan the perfect family day out with our wicker picnic basket or upgrade your storage with our wicker storage baskets and unique wicker stair basket. Hardwearing and high-quality, wicker storage baskets are a great starting point for creative projects. 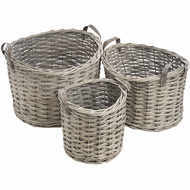 Use yours as a bespoke holder for artificial flowers or hide household clutter with our wicker basket multi-packs. Whatever you’re looking for, we’re certain you will find it on our online store.